Hi gingerella’s (guess I found a new name for my readers)!! Today I’m back with a new review on the Gisou Honey Infused Hair Oil. I guess it took me 6 months to make the leap wether to buy it or not. As promised on my Instagram: my insight on this high end product. Let’s start by giving some more information on the brand. 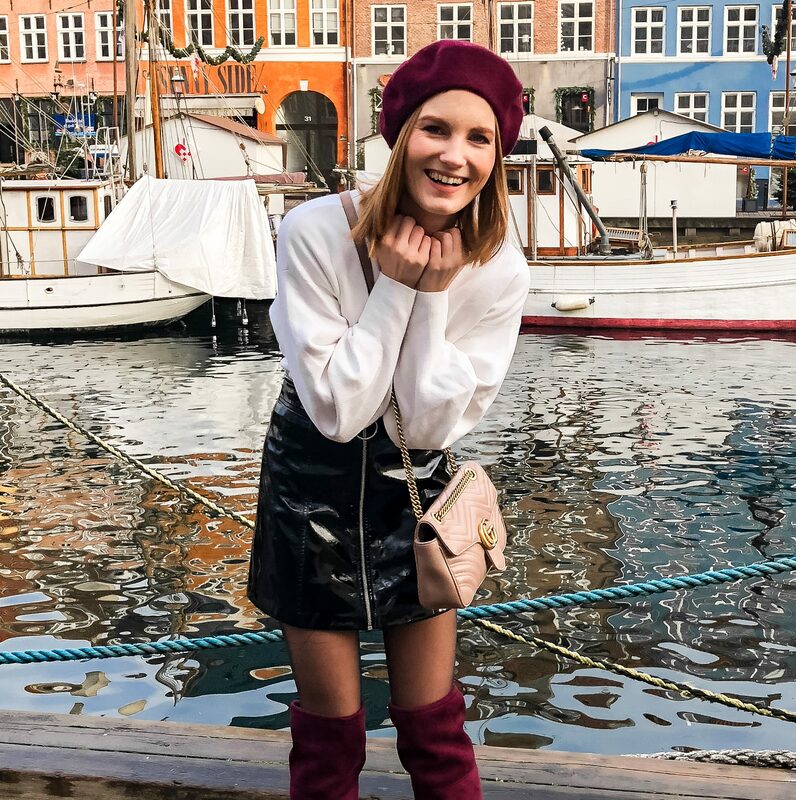 Gisou was founded by Negin Mirsalehi, a Dutch influencer, blogger and vlogger. Just Instagram Negin and you’ll be in awe with that beautiful hairdo she’s got. 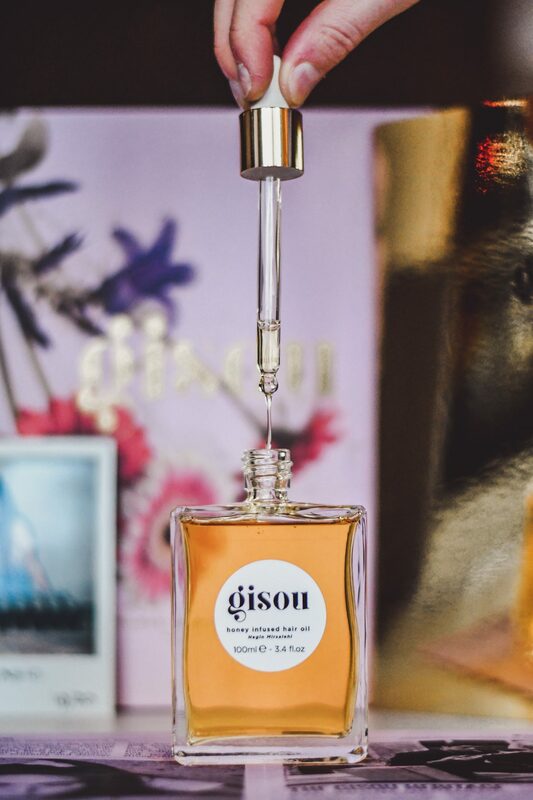 Gisou is responsible for those gorgeous long and healthy locks. The story starts with her father who’s a sixt generation bee keeper from Iran. His beehive forms the key ingredient of the Gisou Honey Infused Hair Oil. Negin’s Mom, who’s a hairdresser, absolutely hated the hair care products making her experiment on her own. She developed several hair care formulas over the years such as the homemade oil derived from her husbands honey (which is the key ingredient in all the products). The propolis the bees use to reinforce their home is known for its strengthening and preservative properties. Ideal for strengthening and protecting your hair from heat damage. Like I said, I’ve been doubting for some time to make the leap wether to buy it or not. It’s quite an expensive product making it worth the double (or maybe tripple) thinking. You can already guess what I did right? Haha I’m so weak! I ordered the product during the golden ticket game from Gisou. I actually thought this ‘game’ was already over when I bought it. Well, It wasn’t … You should have seen my face unpacking the Gisou package. I was like: why is there a golden lid over the booklet? Why is there a leaflet stating: Gisou’s golden ticket & why is there a polaroid of Negin inside? It took me soooo long to realize: OMG you stupid chicken, it’s a golden ticket. I first had to look it up on Instagram to be sure (whoops). Although I didn’t win the meet & greet with Negin herself, I did receive a jar of Mirsalehi honey extracted by hand by Negin and her father. That’s one hell of a price! I can’t say I’ve had any issues with that. Maybe that’s because the products is shipped from The Netherlands and I live in Belgium. You get an email as soon as the product is dispatched and I had it 1 day later. Let me also give a shoutout to the amazing Gisou team. They’re just awesome. This definitely does not disappoint. 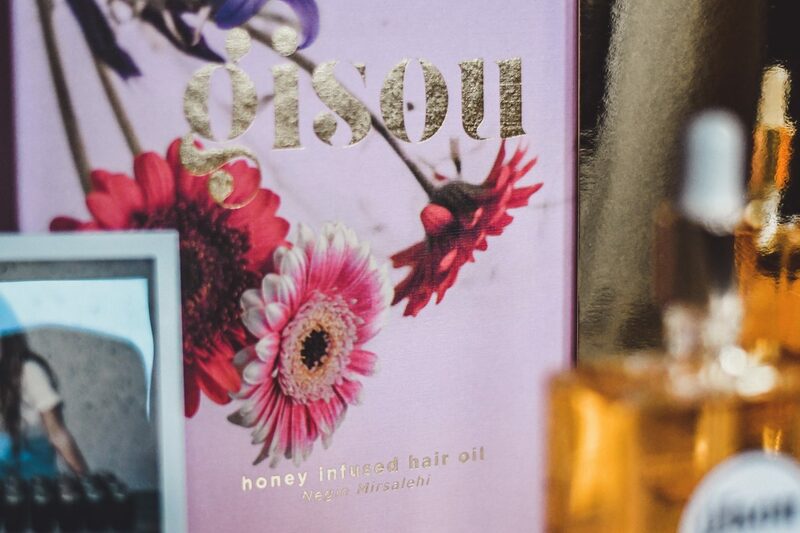 The honey infused hair oil is packed in a gorgeous pink high quality box of Gisou decorated with flowers (A subtle hint to the bees?). On the back of the box are some instructions and the ingredients list. Inside the box you’ll find a little booklet with information on the brand and product with gorgeous pictures of Negin herself and family in the beehive. 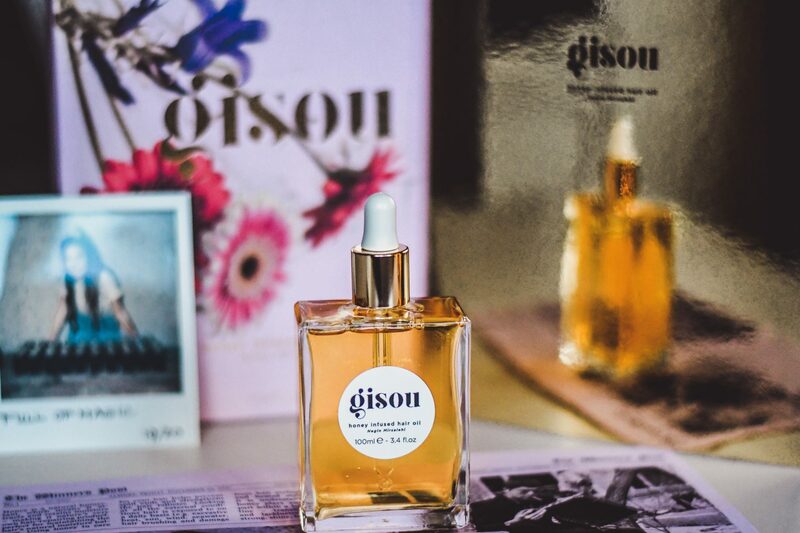 The packaging itself already feels very luxurious, reminding you why Gisou is a high end brand. The bottle itself is super simple yet very chique. It reminds me so much of the Chanel n5 perfume. The oil has a pipette making it easy to choose the right quantity for your hair. Since the bottle is a 100 ml bottle you can easily take the honey infused oil with you on your holidays making sure your hair gets the right care. I’ve been testing the Honey Infused Hair Oil for a few weeks now and I must say that the product is worth the money. It’s feels super light on the hair and it does not drag it down. I’ve already used and tried several hair oils but this is far out my favorite one in years.. My hair feels nourished, soft and gives a it a gorgeous shine. Since I’ve got short hair I don’t use that much product making the bottle last a very long time. 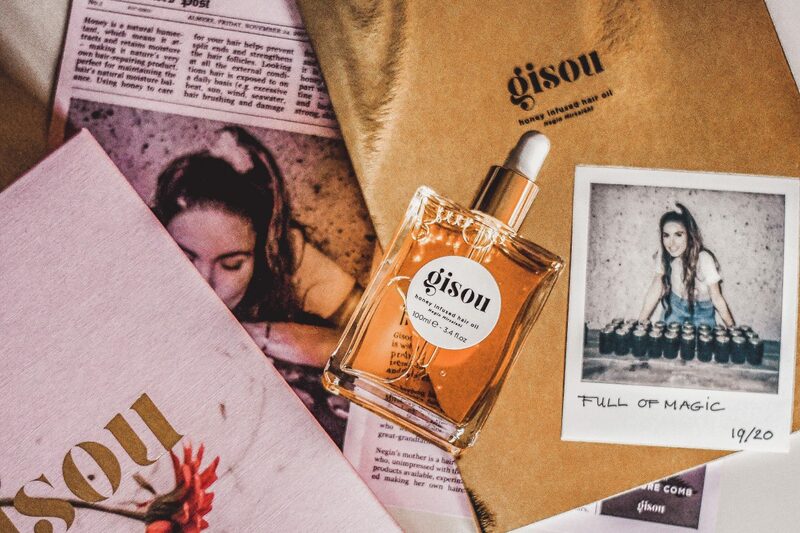 The Gisou Honey Infused Hair Oil costs a whooping 74€ but it’s definitely worth it. It’s one of my favorite hair care products ever! Let me know what you think about this review & the product. I’m super happy I bought it and I hope you will be too. Hi girl! Ik had vorige week je artikel gelezen en heb toch een aantal vraagjes over de olie! Ik ben geobsedeerd met Negin en haar haar hhaha en ik vroeg me dus af of deze olie het geld waard is. Merk je echt verschil tussen deze olie en een gewone hairolie? Ik twijfel namelijk omdat het echt veel geld is. Voor 40-50 euro had ik het gedaan maar 70 is too much to try! Hey! Ik heb al een aantal oliën uitgetest en de meeste (niet allemaal) voelen erg zwaar aan. Ze maken bovendien mijn haar vrij vettig en dat heb ik niet met deze. Misschien ook omdat ik de hoeveelheid goed kan kiezen. Het is erg veel geld maar je moet rekening houden met het feit dat dit een high end/ luxe product is. Als ik bv kan kiezen tussen Moroccan oil of deze kies ik sowieso deze terwijl Moroccan Oil ook in een duurdere prijsklasse zit. Maar het is echt een persoonlijke keuze. Ik ben erg tevreden van mijn aankoop maar snap dat je het duur vindt. ? Ik twijfelde inderdaad ook tussen de Moroccan Oil en deze! Ik heb zoveel producten nodig voor mijn haar haha op den duur ist een fortuin per maand hahah! Maar zoals ik las gaat hij wel lang mee? Dan ga ik hem toch eens overwegen binnenkort! Je hebt echt weinig nodig! Ik gok ZEKER 3 maand ? Dju hahhaha nu ben ik echt overtuigd ?dat wordt dan toch maar even spenden!